Whaling, logging and mining were dangerous early New Zealand industries. Men who were injured got no compensation, and if they died their families struggled on their own. Some girls who worked very long hours in woollen mills were injured by the machines. 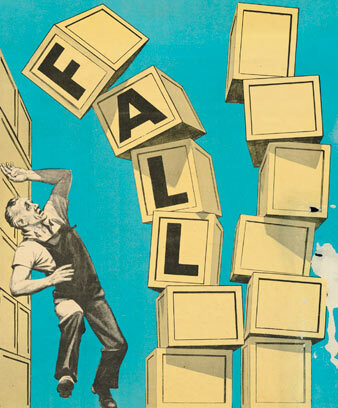 As factories sprang up, accidents became common. People and goods were often transported by coastal sailing ships, and work on board was hard and dangerous. By 1891 the rate of deaths from workplace accidents was higher in New Zealand than in Britain. The Regulation of Mines Act 1874 gave injured mine workers the right to sue for compensation if their employer had failed to make the mine safe. The Employers’ Liability Act 1882 gave this right to workers in a wider range of industries. But they had to be able to take a case to court, which was costly and might not succeed. From 1891 factories could be inspected for safety under the Factories Act. The government charged mine employers a levy and used the fund to compensate miners for accidents. Under the Workers’ Compensation Act 1900 workers no longer had to prove employers were negligent to be compensated for an injury. If they were killed at work, their families were paid a weekly sum. But compensation was small, and paid for six years at most. In 1947 it became compulsory for employers to take out insurance for workplace injuries. The Workers’ Compensation Board was set up in 1950 to cover workers whose employers did not provide proper accident compensation. A royal commission was set up in 1966 to investigate injury compensation. It recommended that New Zealand provide 24-hour, no-fault insurance for all personal injury (not just at work), in return for the loss of the right to sue for compensation for injuries caused by negligence. The Accident Compensation Commission, later Corporation (ACC), was set up by the government in 1974. Employers, workers and vehicle owners paid levies to ACC. ACC paid for treatments for injuries and for rehabilitation. People off work because of their injuries were paid 80% of their salary. In 2013 ACC collected $4.7 billion from levies. Some of the money was spent on injury prevention. People in more dangerous occupations paid higher levies, and from 1992 employers’ levies varied with their ‘experience’ rating, based on the number of previous claims. In the early 2000s ACC cost less than comparable schemes around the world, but people debated whether the government should own an insurance company, and whether the scheme would be more efficient if it faced competition. The Health and Safety in Employment Act 1992 gave employers the main responsibility for keeping their workplaces safe. After 29 workers died in an explosion at the Pike River coal mine in 2010, this system was seen to have failed. WorkSafe New Zealand was set up in 2013 to oversee workplace health and safety. The Health and Safety at Work Act 2015 gave staff a bigger say in keeping workplaces safe and increased the penalties on non-compliant employers.